This isn’t the first time I’ve featured Saint Walker in a comic, but damn if this isn’t a step up from my usual art. I am loving my Note III a lot right now. That plus a little bit of creative motivation (thanks in no small part to being out of commission with a screwy back) has led to some work that I’m pretty pleased with. As a total aside, there’s been a statement that the next Note will use a different form factor. I’m definitely intrigued… Best case scenario, it’s a resurrected Courier. Worst case, it’s a curved-screen monstrosity that adds nothing to the function of the device. For now, a screen the size of my face and a fantastic little pen are good enough for me. 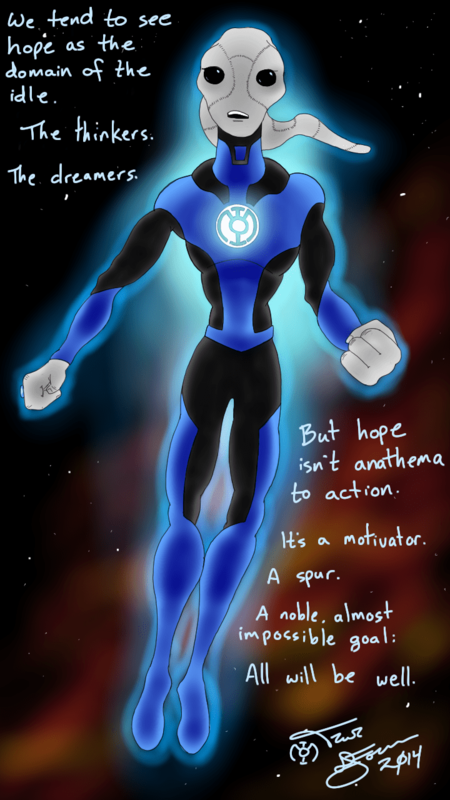 Tagged blue lantern, comics, dc, green lantern, saint walker. Bookmark the permalink.